How Can Seniors Cope with the Financial Stress of Divorce? So-called ‘gray divorce’ (i.e. divorce in couples aged over 65) is on the rise, with statistics showing that numbers have doubled since 1990 owing to a variety of factors – the most common of which is simply ‘growing apart’. Greater expectations of what a good marriage should be like, improved financial situations for women, and the promise of newfound independence, are additional reasons for this choice. If you are considering a gray divorce, it is vital to receive advice from a reputable life coach and lawyers specializing in the field. 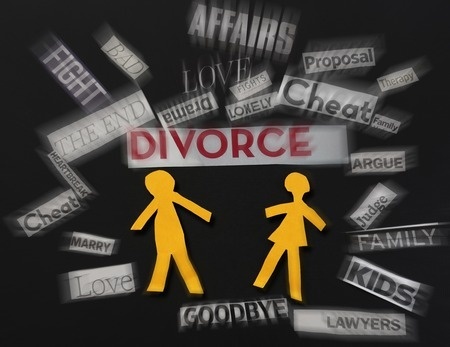 After all, divorce involves significant emotional as well as financial changes. The Holmes and Rahe Stress Scale lists divorce as the second most stressful life event, with the top place going to the death of a spouse. Parting ways can be challenging, since the process isn’t always ‘clean’ and simple. That is, one spouse may wish to end a marriage while the other may wish to continue. Children also factor into the equation; those with kids who are minors may have to face the prospect of custody battles, school payments, etc., which can produce a blend of fear, anxiety, and even anger. From both a financial and personal perspective, couples wishing to reduce anxiety and depression should work together, preferable with a life coach or counselor, to find common ground on which to tread. Those with children, for instance, will have to continue communicating with their partners so building a different bond characterized by fluid communication and, when necessary flexibility, is important. One of the greatest challenges during divorce involves coming to terms with a big change in one’s financial future. If alimony is due, assets such as restricted stock units, ownership stakes, travel perks, and even bonuses may be subject to legal partition. Couples will need legal guidance for valuations of premarital vs marital assets, individual vs marital property, etc. Even inheritances, which are considered separate property, could be subject to partition if it has been mingled and converted into marital assets. In order to save your inheritance money, you would have to ‘contest the presumption of shared funds’, meeting a high burden of proof in order to do so. It is truly surprising o find out how many unexpected costs can ensue – everything from having to take out life insurance to cover alimony payments, to payouts from pension plans. Most states in the U.S. are ‘common law property’ states, meaning that property acquired by one member of a married couple is owned completely and solely by that person unless the title to this property is changed to include the spouse. Community property states (Louisiana, Arizona, California, Texas, Washington, Idaho, Nevada, New Mexico, and Wisconsin) deem all assets acquired during marriage as ‘community property’. The latter is wide in scope and includes any money earned by either spouse during the marriage, items bought with money earned by either spouse during the marriage, and separate property that has become ‘mingled’ with community property. Receiving the right advise at this time is arguably the most crucial way to reduce stress levels. However, there are additional steps you can take during this challenging time. Firstly, focus on your health. Ensure you follow a healthy diet that is low in sugar and refined carbohydrates, and make getting a good night’s sleep a priority. Proven stress-busting activities such as yoga and meditation will help you get through difficult emotions without blocking them off. These mindful activities encourage you to accept all the emotions you are feeling (including the difficult ones), ‘riding’ them out instead of repressing them or displaying negative behavior towards your spouse. Because the legal ramifications of divorce are so intricate, receiving legal advise every step of the way is key. However, it is also important to protect your emotional life and foster a good relationship with your spouse. 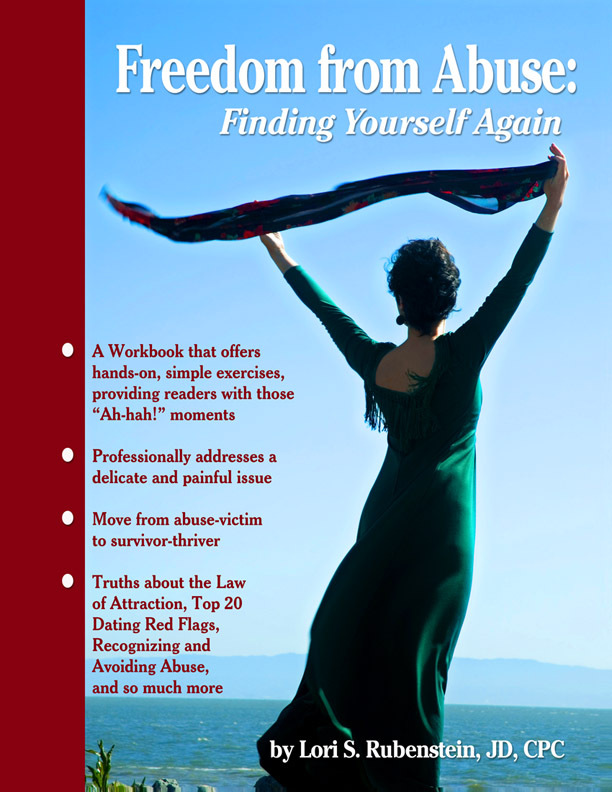 A life coach, who can conveniently provide advise by phone, can help you separate legal from personal issues, and ensure that spouses are committed to fair settlements that stem from a desire to maintain a healthy friendship in the long-term – which is especially important when children are involved. 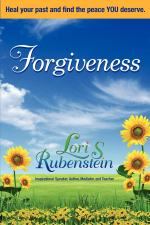 Forgiveness: Heal Your Past and Find the Peace You Deserve, Transcending Divorce, and Freedom from Abuse move you from feeling powerless to being in control of your own life. Click on a book to Order your copy today! 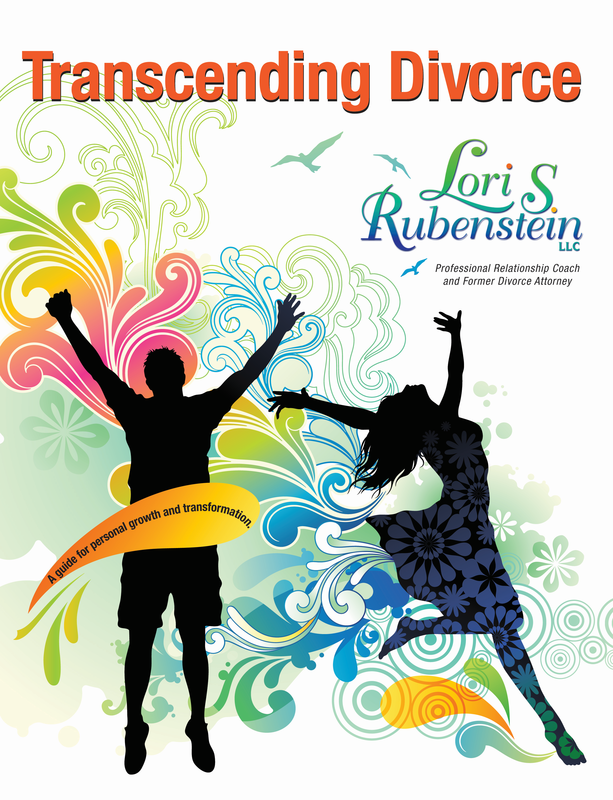 Enjoy Lori's Newsletter and Find Inner Peace with Forgiveness and Gratitude Now!